The original armorial shield dated 1533 of Grand Master Philippe Villiers de L’Isle Adam still appears in the corridor of the Knights’ Holy Infirmary. From left to right: A massive pilaster in the Collachio marking the site of the ancient Auberge de Castille. Auberge de France: main staircase leading to the piano nobile, indicating the elegant sophistication of the French knights. A streetscape in the Collachio (before rehabiltation works) showing the early 16th century Auberge d’Angleterre. Late medieval Siculo-Aragonese two-light window. 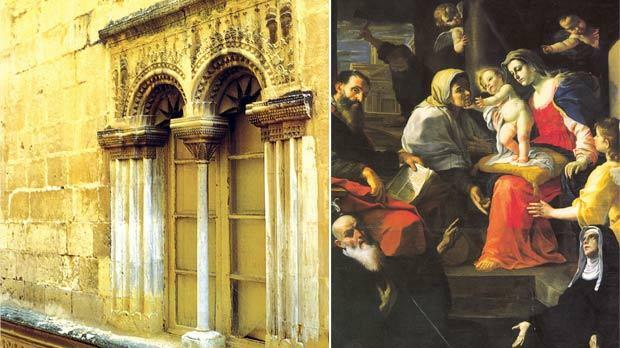 Right: The Holy Family and Saints at the monastery church of St Scholastica, a superb work of art by Mattia Preti. The Inner Harbour city of Birgu (Vittoriosa), protected by the impregnable Castrum Maris (Fort St Angelo), and on the land-front by one of the most impressive lines of late Renaissance and Baroque fortifications in Europe, has along the years been a leading protagonist in the gradual westernisation of Malta, particularly in the late Middle Ages. Its thriving population, engaged in maritime activities, was further enhanced by a cosmopolitan admixture of Venetians, Pisans, Genoese and Catalan merchants and seafarers who made Birgu their home. The ancient part of this city, known as the Collachio, portrayed in microcosm a broad swathe of the influences of an active prosperous port city of the period with its taverns, courtesans, slaves and brothels running parallel with a proliferation of churches, chapels and holy relics. Its narrow winding streets have witnessed moments of rowdy mirth, as in the frivolities of the first Carnival, as well as scintillating glories, as in the celebrations marking the end of the Great Siege of 1565, alternating with episodes of great poverty and epidemics. Many of these localities have survived to tell the tale. 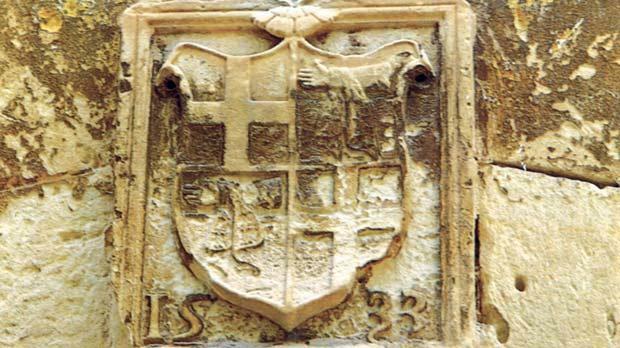 On their arrival in Birgu in 1530 the Knights of St John concentrated their main buildings in a particular area on the pattern of their Rhodes sojourn; however it was impossible to have exclusive access to this zone which became known as the Collachio. At the time Birgu was bursting at the seams with a population of over 3,500, and an accelerated building programme was initiated following the contours and alignments of the medieval building scheme. In this zone the Knights erected the auberges, a state-of-the-art hospital on the outskirts of the Collachio facing Kalkara, and magnificent palaces. Behind St James Cavalier they built an impressive armoury as well as the vast fortifications of the Post of Castille, also known as l’Altare della Patria in view of the scenes of bitter fighting in the Great Siege, vividly described by Francesco Balbi di Correggio in his diary of the Siege of Malta and further immortalised by Matteo Perez d’Aleccio’s paintings at the Grand Masters’ Palace in Valletta. In this zone, located on the right of the processional route (starting from the Three-Gate Entrance down Main Gate Street to the piazza) that bisects Birgu, one may include the Inquisitor’s Palace, a unique structure of great architectural and historical importance, the Bishop’s Palace, as well as the seat of the Birgu Università. In spite of the intensive bombing during World War Two most of these historical edifices remained almost untouched. Down the years, the Collachio has known the tread of outstanding personalities and scholars, poets and troubadours, great artists and military engineers as various as De Valette, L’Isle Adam, and Europe’s most celebrated military engineer, Bartolomeo Genga, who designed the still extant Auberge de France. 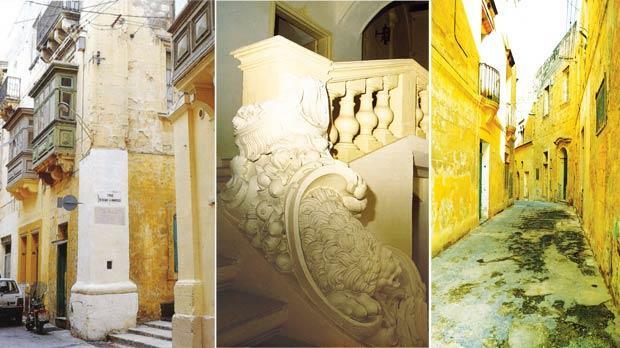 The Collachio presented the flowering spirit of the young Girolamo Cassar the opportunity to absorb the architectural idiom of the early Knights’ period to replicate it in the new city of Valletta. The list of prominent people is endless – young ecclesiastical dignitaries who later became popes loitered here, as well as the renowned medieval troubadour Pietro Vidal. The exceptionally brilliant Mattia Preti regaled the area with one of his late masterpieces in the magnificent main altarpiece of The Holy Family in the Benedictine church adjoining the erstwhile Holy Infirmary. It was here that the Birgu-born artistic geniuses Melchiorre Gafà, who made a name for himself in the Eternal City, and his brother Lorenzo, the greatest Maltese exponent of the Maltese Baroque, had their botteghe. This ancient zone is packed with history and memories; wander along its beguiling winding streets and the layering of different cultures unfolds, stretching from the Middle Ages to the Renaissance and the Baroque, with visible remains that gave Malta its typical domestic architecture. As you stroll through this labyrinth, memories of its past haunt you, contributing to a unique experience of when the now silent palaces hosted the nobility of Europe. Exercising its various roles throughout history, the Collachio has retained its unique characteristics, making Birgu a city of substance. To wander across the battlements of the Post of Castille at the far end of this area, soon to be restored to their former glory, is an unforgettable experience as historic moments are evoked, engulfing the visitor in bitter-sweet melancholia. If the Collachio could speak, which historical events would it relate? Would it explain the sophistication of the Siculo-Aragonese house with its still extant exquisite two-light window? Would it recount the vicissitudes of the English knights during the Reformation at the still standing Auberge d’Angleterre, built before 1534? Would it reveal the inhumanity of the slave trade when Ancient Street and Strada Vecchia Albergia di Castiglia teemed with young slaves ready to be auctioned on the main square in the shadow of the historic tower? Would it remind us of the frequent outbursts of savagery and deaths in duels? Would it extol the mysterious chant and the fragrance of incense of the Byzantine rites at the Greek church of St Nicholas in the area? Or would the Collachio reverberate once again with the pious prayers when on August 12, 1565, De Valette exhibited at the Auberge de France the document from Pope Pius IV assuring all defenders of forgiveness of their sins and immediate access to heaven if they died defending the Faith? Would it reveal the first attempt in Malta at an incipient social service when the Knights in Birgu set up a Housing Commission and a Commission for the Needy with excellent medical facilities at the nearby Holy Infirmary built at L-Għawejna ( Little spring) in 1533? Undoubtedly, the Collachio had its moments of glory when Fort St Angelo and its suburb of Birgu entered the mainstream of European art and culture. With their cosmopolitan appearance, customs and traditions, the families living in Birgu at the time contrasted sharply with the rest of the island which, with the notable exception of the inland town of Mdina, was still in many respects more North African than European. As I recently explored this historic district with Tim Willocks, author of the bestseller The Religion, a kaleidoscope of colourful memories rushed to my mind as I felt the radical temper and vitality of this vibrant city and its humble populace still rooted in its extraordinary past. A treasure trove awaits the discerning visitor on a pilgrimage to Birgu not least to discover and pay homage to our European roots. That such a small walled-up city can offer so much history reveals the richness of its past when on many occasions Birgu was the main protagonist in the turbulent history of our islands. The annual Birgufest is being held on Friday, Saturday and Sunday, featuring Birgu by Candlelight, traditional Maltese games, and Maltese and foreign musicians and an art exhibition by C.S. Lawrence at the Auberge de France (part of the proceeds from the sale of works will be donated to the Community Chest Fund).